Valentine day is the day of love and to make it more special you can decorate your home in a special way to show your love and affection to your dear ones. These romantic home decor ideas and a few tips about how to arrange your bedroom for this special day will make this day of love more special. Valentine day a day of love is near and we all want to celebrate this day with our loved ones; a well decorated home can enhance the pleasure of this celebration. 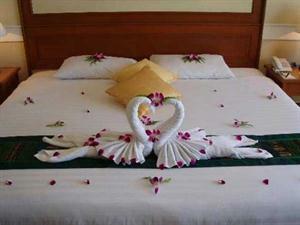 With little creativity and imagination you can turn your bedroom into most romantic place. •	First of all it is very necessary to clean your home not only the bedroom but the whole home so that the guest who visit your house on this day can feel special. Remove all the clutter and unnecessary articles from your bedroom so that it look more specious, do not hide the unwanted things behind the curtains just remove them from the room completely. •	Good choices of color can enhance the mood of celebration; do not go for too much pink it is good to use the traditional red, the color of love in your valentine decoration. Decorate your bedroom with red roses; red cushions, candles or even small heart shaped carpets can do wonders. You can use some other flower also like lilies, orchids and ranunculus in your decorations that make a bold statement. •	Lighting can be very effective to spice up the romance, it is good to use candle light as you can out them in the corners of room also to get the effect or any other soft light to create a magical atmosphere in your bedroom. 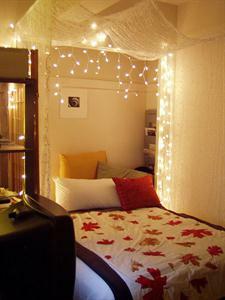 Hang heart-shaped lights or clear twinkling lights to give your room a romantic feel. •	Use light color curtains to dressing up your windows, if you choose to sleep in the dark, try a sheer curtain with a blurry background. You can choose the valentine theme based furnishing for your bedroom or just turn your simple curtains in the valentine theme by just hanging the garland of heart or some fresh flower garlands. •	Choose bed sheets made of sateen, silk or a similar fabric to add more romance in your bedroom, take some nice curtains or drapes and bolt them to the ceiling, surrounding the bed with them to give the royal touch to your bedroom. You can add some interesting texture in your bedding to make it richer and atmosphere friendly such as fur or velvet cushions, comforters, blankets and throw pillows etc. 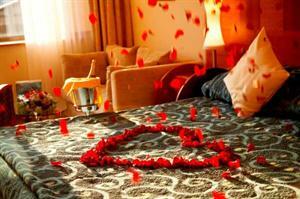 you can also spread some rose petals on your bed to recall the feeling of your wedding night. •	Just collect your sweet memories like the pictures of the two of you together, gifts and greetings shared by you or any other thing which can help to add some personal touch in your decorations. •	Do not forget to add fragrance in your room, use any romantic fragrance or the favorite fragrance of your loved one to complete the decorations of your room. Play some light music to create the romantic feel. •	Last but not the least Pamper yourself by taking a hot shower bath and get yourself in a beautiful dress and feel the romance in the air. We are sure with these ideas you can turn your bedroom into the most romantic place and you will never forget this valentine celebration.